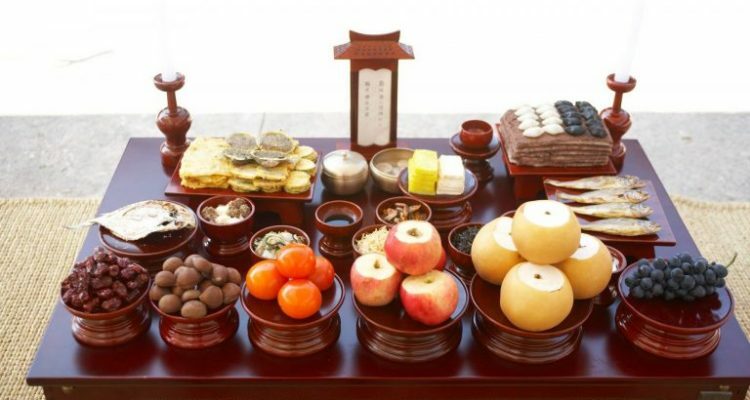 The Chuseok (추석), once known as hangawi 한가위 – “Thanksgiving” or more traditionally called “harvesting holiday” – is one of the most important holidays in Korea. The big cities like Seoul or Busan become suddenly quieter because many people travel to their hometowns to spend Chuseok with their loved ones. 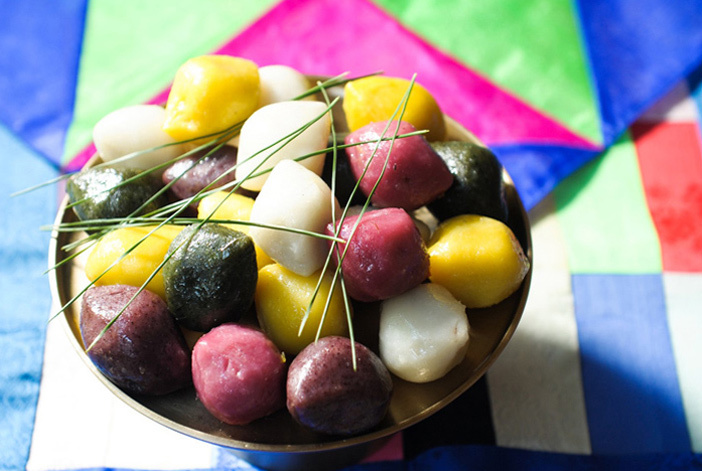 The celebration of Chuseok includes many different activities, from the preparation of special dishes and the gathering of the whole family, to the commemoration of the deceased and playing traditional games. 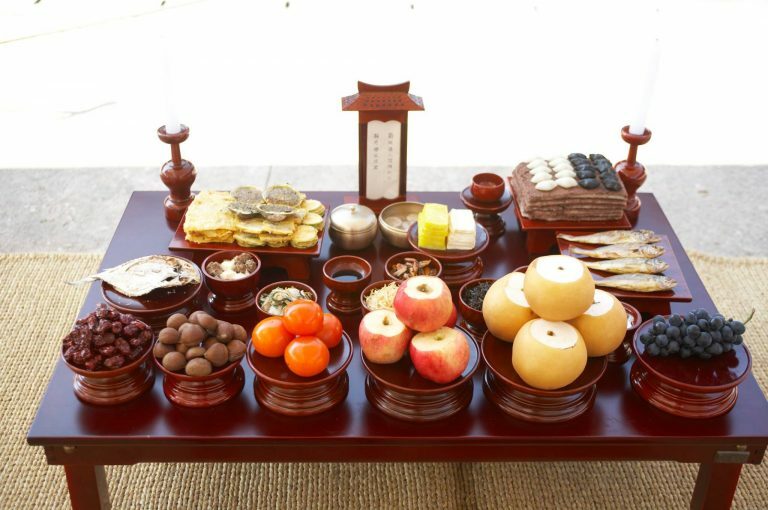 Traditionally in the morning of the Chuseok there is a ceremony to honour the ancestors and a banquet with seasonal fruits and food is offered. Then Korean people visit the graves of the ancestors, an occasion that often families do not have because of their hectic work life. 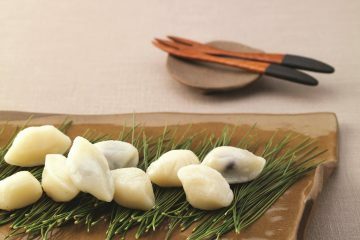 Food plays a key role in this holiday and many specialties are prepared such as seongpyeon (송편) half moon-shaped rice cakes stuffed with honey, sesame walnuts and steamed on pine needles. Other dishes include vegetable and meat pancakes, japchae, and seasonal fruit. 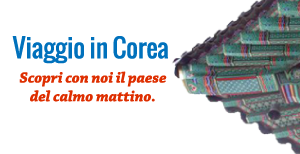 Even though most people prefer to spend these holidays with their family, in recent years more and more people are planning trips abroad or to other places in Korea to take a rest. In fact, preparing all that food and meeting relatives can cause a lot of stress to many people.